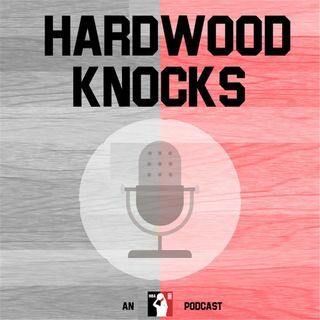 It's time for another Hardwood Knocks mailbag. But first! The inaugural Social Media Minute with a special guest who gives you the takes you need on Tristan Thompson/Khloe Kardashian, Donovan Mitchell, Josh Hart and Rudy Gobert's ducks. Yes, ducks. Then, Andy dives into the mailbag to tackle questions from all over the league. What's going on with the Jimmy Butler trade? Do the Mavericks or Grizzlies have a better shot at the postseason? Who is a darkhorse candidate for Rookie of ... See More the Year? Who'll win MVP? Why do so many fans dislike Nikola Jokic? AND MORE! As always, if you haven't already, be sure to rate, review and subscribe. And, if you have, force others to!